I've barely touched my Crochet Mood Blanket these last two weeks, my crochet energy is going into tweaking a doll dress I designed. 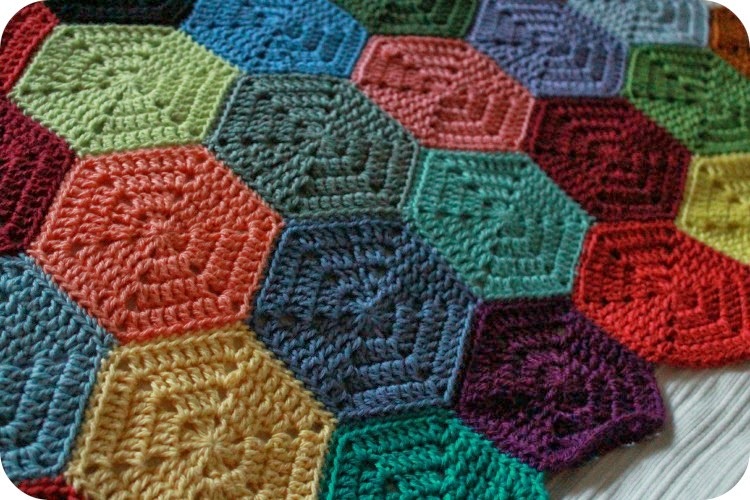 However as I had completed a lot of hexagons in Feb I am still on track for my one motif a day at this stage. 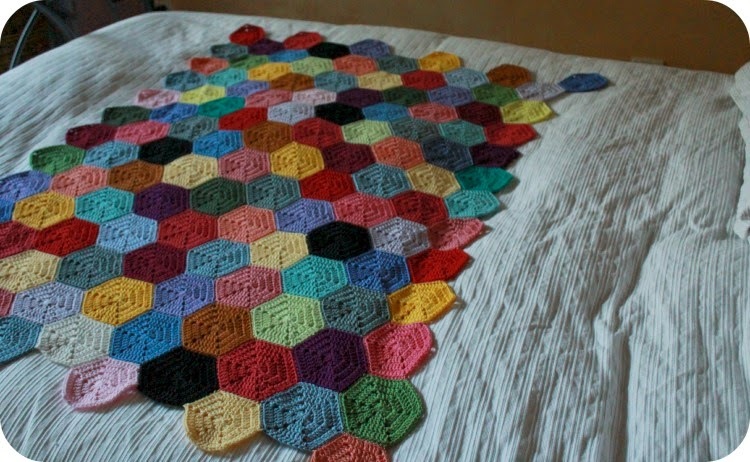 I think my proportions are going to have to be reassessed as I thought my blanket would need to be 18 by 18 hexagons but I hadn't taken into account the way hexagons fit together. One side is zigzag, with points of hexies on the outer edge and the adjoining side is notched with flat sides making a rise and fall pattern. I had planned to work up to a size of 12 x 12 and to then decide how to progress in rounds adding another 3 hexagons on every side and think about my bordering. I'm at the beginning of the 11th row already having 12 in each existing row and I can see that with the addition of two more rows the piece will still be slightly rectangular in appearance; my blanket will also need to be longer than what I originally estimated, in order to be a nice size to 'cover' our bed. Tammy it just looks lovely. I hope you are feeling a little better now.